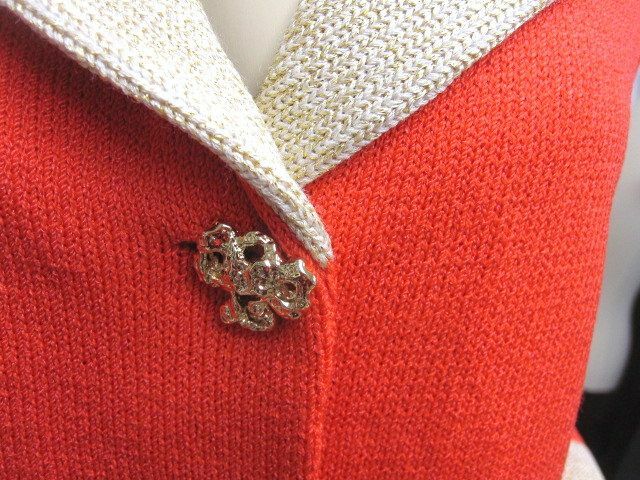 Click the button below to add the St John Knit NEW Orange Gold Jacket Skirt SUIT SIZE 12 14 to your wish list. 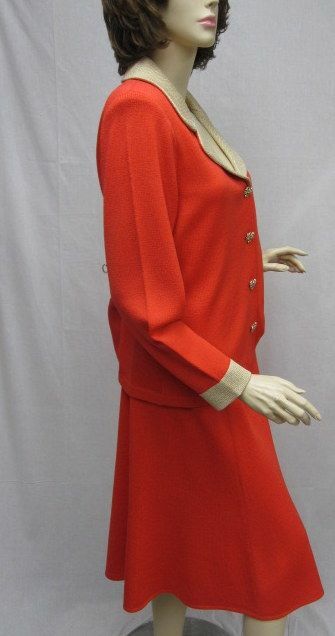 CLASSIC 4 You SSt John Knit New Without Tags Orange Gold Jacket Skirt Suit SZ 12 14. 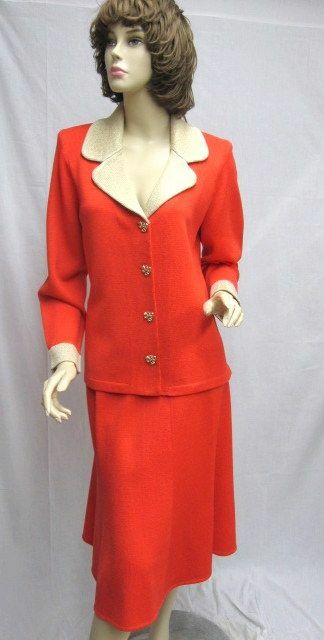 This is a beautiful santana knit jacket skirt suit set. 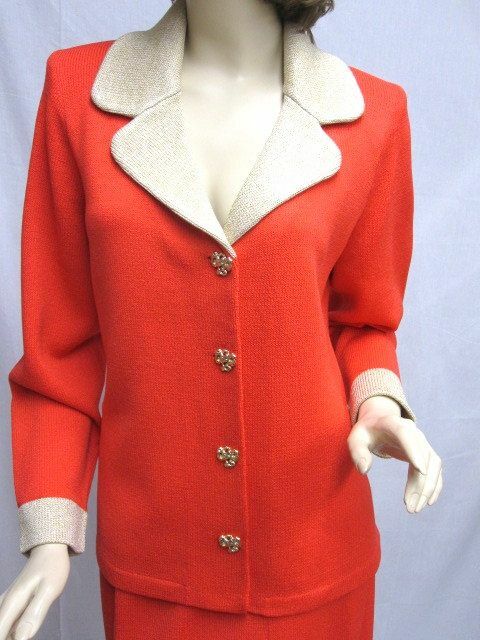 Jacket has a lapel collar with a gold trim on collar and sleeves. There are 4 gold buttons down the front. 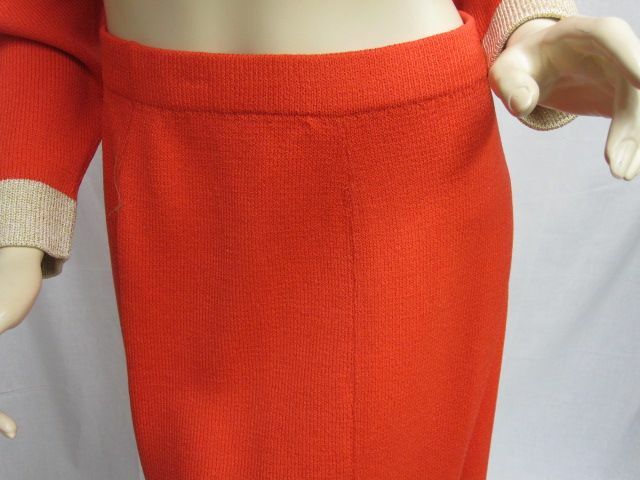 Matching skirt with elastic around the waist and is a flare style. 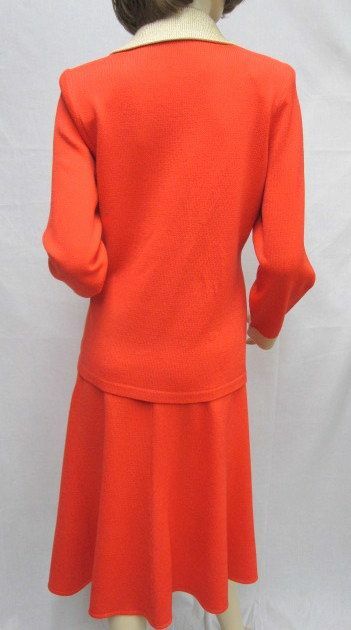 Shoulders: 16" Bust: 41" Waist: 39" Hips: 43" Length: 24" Sleeve Length: 23 1/2"
Waist: 34" Hips: 44" Length: 27"